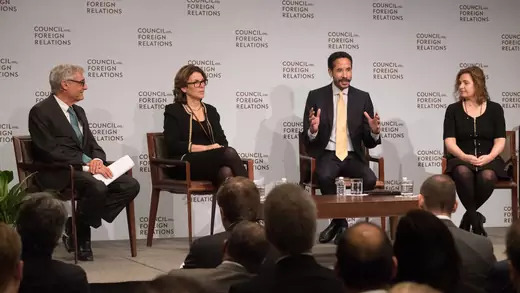 CFR’s Corporate Program provides a unique forum for private sector leaders to interact with decision-makers from government, media, non-governmental organizations, and academia to discuss issues at the intersection of business and foreign policy. Founded in 1953 with twenty-five corporate members, the Corporate Program has since expanded to include more than 140 companies from various industries and regions of the world. Through CFR’s unmatched convening power, the program links private sector leaders with decision-makers from government, media, non-governmental organizations, and academia to discuss issues at the intersection of business and foreign policy. Executives at member companies have access to the Council’s intellectual capital through briefings with CFR fellows, rapid response conference calls and livestreams, access to Foreign Affairs magazine, and hundreds of meetings each year in New York, Washington, DC, and other major cities throughout the United States and around the world. Corporate membership is available at three levels: Founders ($100,000), President’s Circle ($60,000), and Affiliates ($30,000). Member companies are offered briefings by in-house experts, a members-only website with CFR resources tailored to the private sector, and roundtables designed specifically for executives. The highlight of the program year is the annual Corporate Conference, which addresses such topics as competitiveness, geopolitical risk, and the global economic outlook. Additionally, the program provides professional development opportunities for individuals who have fewer than ten years of experience through its Young Professionals Briefing series and for individuals on a senior management track through its Corporate Leaders Program. CFR’s Corporate Program provides a unique forum for business leaders to interact with noted thinkers and practitioners. Whether based in Bangkok, Bologna, or Burbank, corporate members can participate in conference calls and rapid-response briefings, as well as view over 200 livestreamed meetings with world leaders and experts. The Council on Foreign Relations is location-neutral with both in-person and virtual accessibility. The Corporate Program convenes small, high-level discussions in New York and Washington, DC, for senior executives on global issues relevant to the private sector. Corporate members also have access to policy discussions in Atlanta, Boston, Chicago, Dallas, Houston, London, Los Angeles, Miami, San Francisco, and Seattle. Open exclusively to CFR’s corporate members, the Corporate Conference provides candid, executive-level dialogue on pressing issues affecting the private sector. Executives from member companies share their expertise in conference panels and breakout sessions. 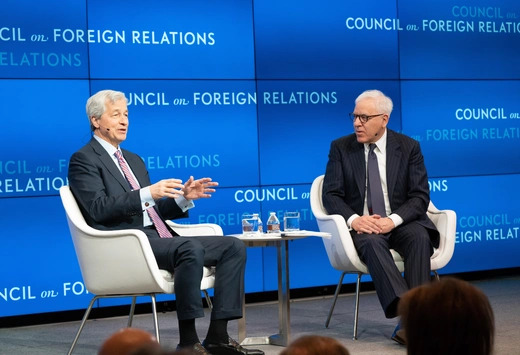 The sixteenth annual Corporate Conference will be held on the evening of Thursday, April 2, 2020, and will run through the day on Friday, April 3, 2020, at CFR’s New York headquarters. An exclusive benefit of corporate membership, a fellow briefing is a discussion led by a CFR fellow and is intended to provide a greater understanding of a particular topic or region. Each briefing is tailored to the company and can be held in-person or virtually. 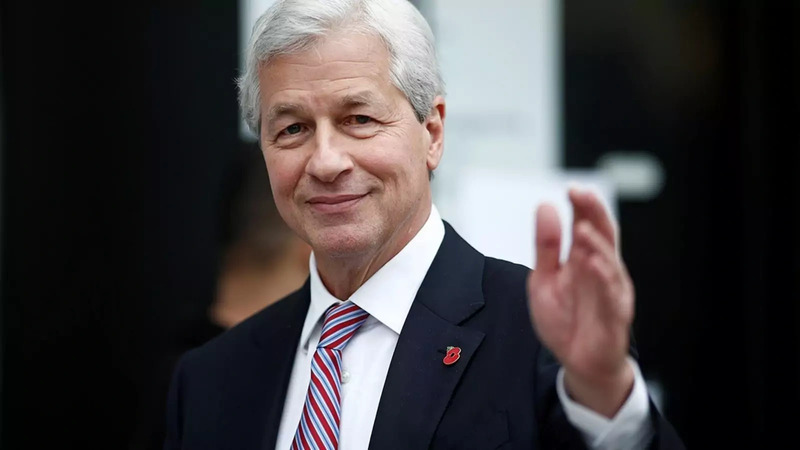 Examples of fellow briefings include: a one-on-one meeting with the firm’s chief economist, a small briefing to C-suite executives on cybersecurity, and a company-wide conference call on Brexit. Through the two-year Corporate Leaders Program, President’s Circle and Founders level companies have the opportunity to recognize highly accomplished individuals on a senior management track. By designating these individuals as Corporate Leaders, executives with eight to fifteen years of experience have access to CFR’s Stephen M. Kellen Term Member Program activities, as well as general meetings, the Corporate Conference, and other programming. The Corporate Program’s Young Professionals Briefing series involves early-career professionals in both New York and Washington, DC, in CFR’s foreign policy conversations. These career development opportunities are intended for employees who have fewer than ten years of professional experience. Led by CFR fellows, Corporate Leaders, and other experts, briefings focus on critical global issues and include lessons learned from their careers. To learn more about corporate membership, contact the Corporate Program at corporate@cfr.org or 212.434.9684.